Nadia Savchenko, who was sentenced to 22 years by a Russian court, intends to continue her dry hunger strike until Russian intelligence officers Yevgeny Yerofeyev and Alexander Alexandrov are sentenced in Kyiv, a defense lawyer for Savchenko said. "Nadia currently continues her hunger strike. She is waiting for the sentencing of Yerofeyev and Alexandrov and then she will decide how to proceed, depending on the results," lawyer Mark Feygin told Interfax on Monday. He said Savchenko is hoping that she will be exchanged for the above-mentioned persons. Under Ukrainian legislation, the sentence against Yerofeyev and Alexandrov will only take effect in 30 days, if the parties do not appeal. 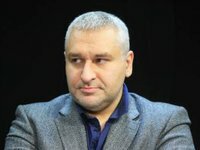 "Maybe the Russian side will issue an order through its consulate in Kyiv for an appeal to be filed," Feygin said. The lawyer said the defense lawyers for Savchenko and her relatives continue trying to convince her to stop her hunger strike, but "she is doing only what she sees fit." Feygin said the condition of his client somewhat stabilized after she started receiving intravenous injections in the detention facility. The sentence against Yerofeyev and Alexandrov may be read on Monday. The state prosecutors asked the court to sentence them to 15 years in prison. Savchenko has been held in Russian custody since July 2014 after being kidnapped by Russia-backed separatists and illegally taken across the Ukrainian border. On March 22, 2016, the Donetsk Court of the Rostov region found Savchenko guilty of killing Russian journalists Igor Kornelyuk, and Anton Voloshin, by a group of people by a previous concert on hatred and enmity motives, and sentenced her to 22 years in a penal colony. The court also found her guilty of attempted murder and illegally crossing the Russian border. The sentence went into effect on April 5. The next day, Savchenko began a dry hunger strike, demanding an immediate return to her homeland. On May 16, 2015, Russian citizens Alexander Alexandrov and Yevgeny Yerofeyev were detained near the town of Schastia, Luhansk region of Ukraine, in an attempt to seize a strategic bridge. On May 19, Ukrainian detectives told the Russians that they were suspected of crimes stipulated under Article 258-3 of the Ukrainian Penal Code for involvement in terrorist activities. The Kyiv Shevchenkivsky District Court ordered their arrest on May 22.